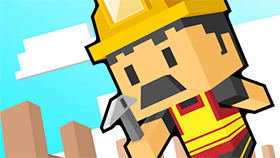 Developed by Zanzlanz, Mine Blocks 2 is an incredible Platform & Explore video game. In this game, you will start by creating a new world. The game will require you to enter the world name and the seed number. That information can be shared so your friends can join your world too! 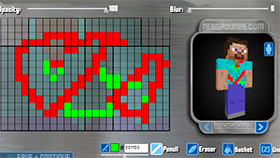 You can easily choose the mode you want to play in Mine Blocks 2 between Survival and Creation. After your new world is generated, you will be taken to it. Mine Blocks 2 owns the enhanced elements, compared to Mine Blocks. English and German are the two languages that are supported in this video game. You will be taking the role of a male protagonist, who is wearing a side bag. He is able to explore the game world, collect items and even fight against enemies. In addition to that, you can make a complication of moves such as gathering, mining, etc. Exploring the entire game world never seems more interesting with Mine Blocks 2! You will be amazed at how incredible the game’s elements are updated. One of the most impressive elements might be the underwater cave, in which you can dive deeply and float in the water. The new Inventory in Mine Blocks 2 is surprisingly big enough to help you collect the entire game world. Now, let’s get started with Mine Blocks 2, we are sure that there are many things awaiting you. Have fun! Press the A-W-D-S buttons to move your character. Use the left mouse button to fight and mine. Use the right-mouse button to place an item or interact with it. Press the E button to open your inventory. 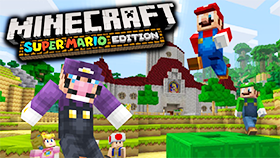 The texture packs can be downloaded from the internet and be used later in the game. In case your computer is running too slow, try to low down the graphics quality. 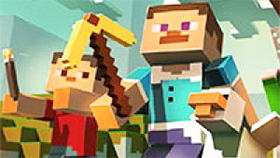 We are listening to your needs, and that’s why we suggest you come and try Mine Blocks 2 Unblocked at Freegames66.com. This site provides you with an amazing connection with tons of good unblocked video games. Have fun!